Our beloved Ella was with us for nearly 13 years. We walked, ran, played, camped, hiked, snow-shoed, and travelled together. 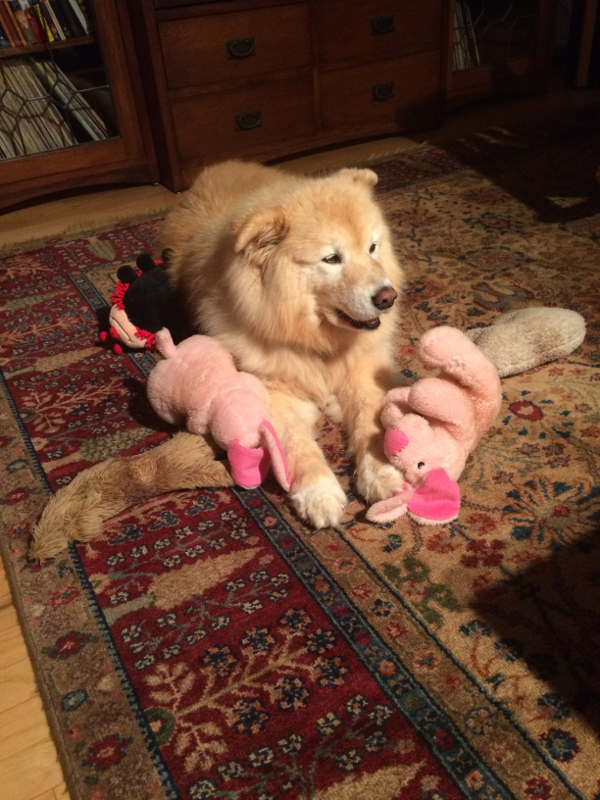 She was such a sweet girl; she loved her family, her home, her friends, and her "babies" (stuffed animals). She loved to gather her babies together and "talk" to them. 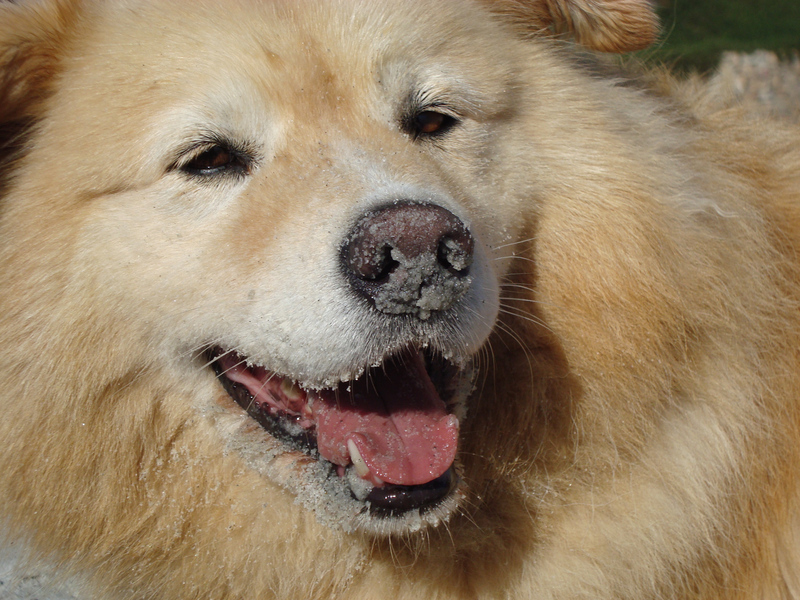 Our years together were a tremendous gift; we never got over the joy of having this goofy, fuzzy girl in our lives. Thank you, Forget-Me-Not, for bringing us together. Ella, your family misses you and will love you always. Ella was an extra special Forget Me Not Animal Shelter adoptee, because she was the very first foster dog our former Executive Director Kim and her family ever hosted, AND she was the very first long distance adoption we ever did, with her amazing new parents driving out to Ferry County to pick her up. Having such a perfect match for our first long-distance family made all the difference in encouraging us to expand our distance adoption program, which now makes Seattle area adopted pet deliveries at least once every month. Thank you, Ella, for meaning so very much to so very many. We all hope you are frolicking at the Rainbow Bridge (though wouldn't dream of asking you to share your babies with the other dogs). Special thanks to her people for loving her the way every dog (and cat) deserves to be loved.